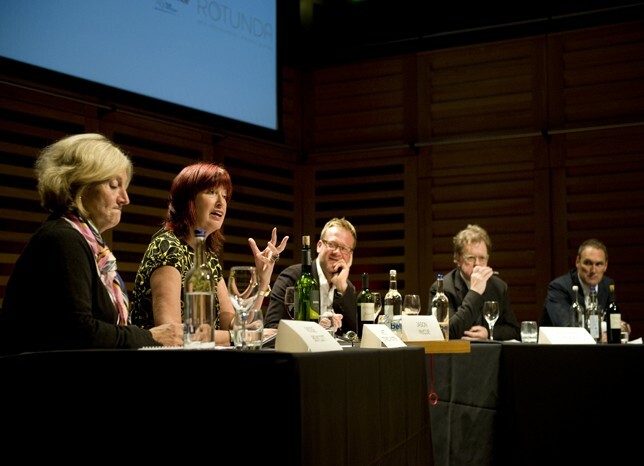 The London Restaurant Festival’s annual debate was a cracker in 2010 when flamboyant foodists Janet Street-Porter and Rosie Boycott went head to head with the knife-sharp culinary wit of Jonathan Meades and A.A Gill to debate the motion ‘French Cuisine Is A Spent Force'. This year's motion: ‘There Is No Such Thing As Ethnic Food' is subjected to a flame grilling. Speakers will include A.A Gill, Jonathan Meades, Clarissa Dickson Wright, and Hardeep Singh, chaired by Kirsty Young. To enter this competition, simply leave a comment in this post stating your NAME and E-MAIL address as MrBloggs(at)gmail(dot)com by midnight on Sunday, 9th October 2011. The winner will be randomly selected using random.org and his/her name will be announced via Twitter (follow @thelondonfoodie) shortly after midnight on the 9th October 2011. If you do not use Twitter, I will also be publishing the winner's name here at midday on the 10th October 2011. The winner of this competition was Felicity Spector. Congratulations Felicity, enjoy the debate! this is amazing i want to go there. it is so good place.